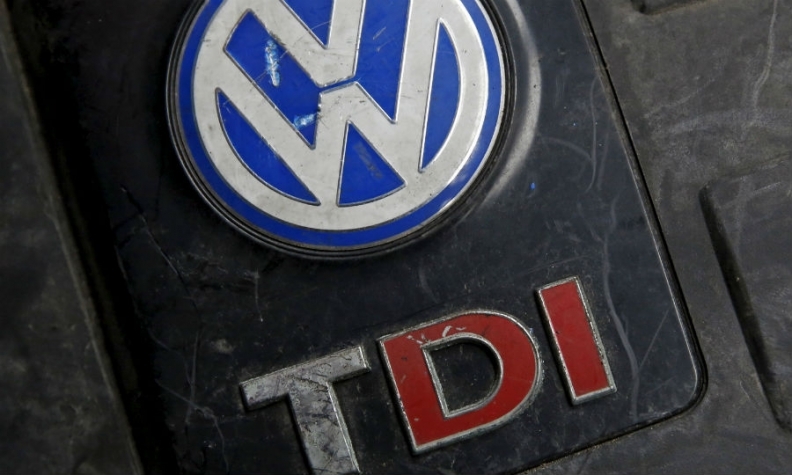 WASHINGTON -- Volkswagen Group and the U.S. Justice Department have held preliminary settlement talks about resolving a criminal probe into the automaker's diesel emissions scandal, two sources briefed on the matter said. Reuters reported in June that a criminal settlement could include a consent decree, an independent monitor overseeing the German automaker's conduct and significant yet-to-be determined fines for emissions violations. The Wall Street Journal reported on Monday that the fines could top $1.2 billion. The paper said it is unclear whether U.S. prosecutors plan to criminally charge Volkswagen employees. Many of the automaker's employees implicated in the scandal live in Germany and would need to be extradited to the U.S. to face prosecution, the Journal said. The Justice Department has not broached a specific criminal charge with VW, sources told the Journal. Prosecutors have previously charged other automakers with wire fraud and concealing information from government officials for safety transgressions, according to the paper. The pace of VW's internal investigation together with complications from separate civil suits filed in July by three U.S. states have slowed progress on reaching a settlement of the criminal investigation, according to people familiar with the probe. In June, VW agreed to pay as much as $15.3 billion after admitting it cheated on U.S. diesel emissions tests for years. The company agreed to buy back vehicles from consumers and provide funding that could benefit makers of cleaner technologies. VW agreed to set aside $10 billion to cover buybacks or fixes for 475,000 2.0-liter diesel cars and SUVs that used illegal software to defeat government emissions tests. Under the Justice Department deal, VW will spend $2 billion over 10 years to fund programs directed by California and EPA to promote construction of infrastructure to charge electric vehicles, development of zero-emission ride-sharing fleets and other efforts to boost sales of cars that do not burn petroleum. VW also agreed to put up $2.7 billion over three years to enable government and tribal agencies to replace old buses or to fund infrastructure to reduce diesel emissions. VW could face billions of dollars more in costs in the United States if it is forced to buy back 85,000 3.0-liter Audi, Porsche and VW cars and SUVs sold since 2009. Last month, three U.S. states led by New York filed suits seeking at least hundreds of millions of dollars and said senior executives at Volkswagen including its former chief executive covered up evidence that the German automaker had cheated on U.S. diesel emissions tests for years. A VW spokesman said the company "is committed to earning back the trust of our customers, dealers, regulators and the American public. As we have said previously, Volkswagen is cooperating with federal and state regulators in the United States, including the Department of Justice, and our discussions are continuing toward a resolution of remaining issues." The fine to resolve the U.S. criminal investigation could be the largest ever imposed on an automaker, surpassing the $1.2 billion paid by Toyota Motor Corp. in 2014 to resolve a Justice Department investigation into its handling of sudden unintended acceleration incidents. In September, General Motors paid $900 million and signed a deferred-prosecution agreement to end a Justice Department investigation into its handling of an ignition-switch defect linked to 124 deaths. Both automakers agreed to three years of oversight by an outside monitor.